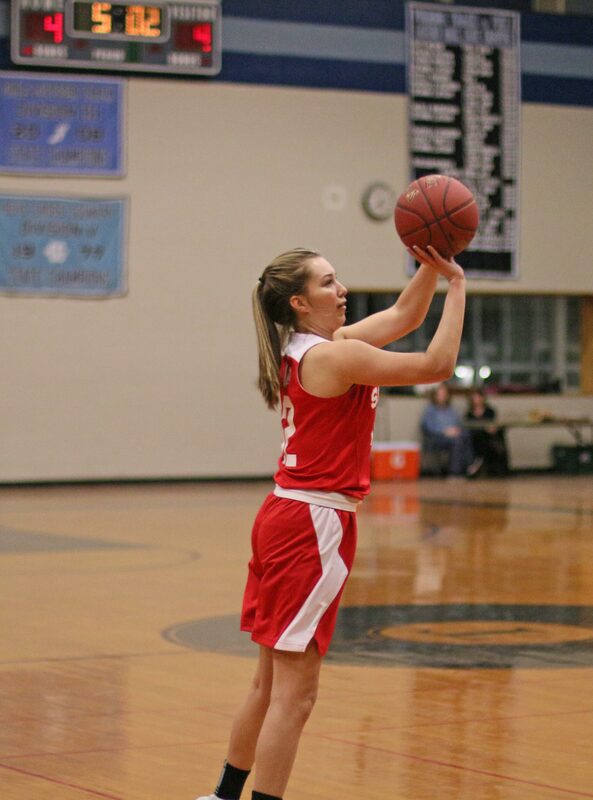 Taylor Bogdanski (16 points) hit two 3’s in the first quarter. (Byfield MA) A lot of happy Sachems after this one ended. 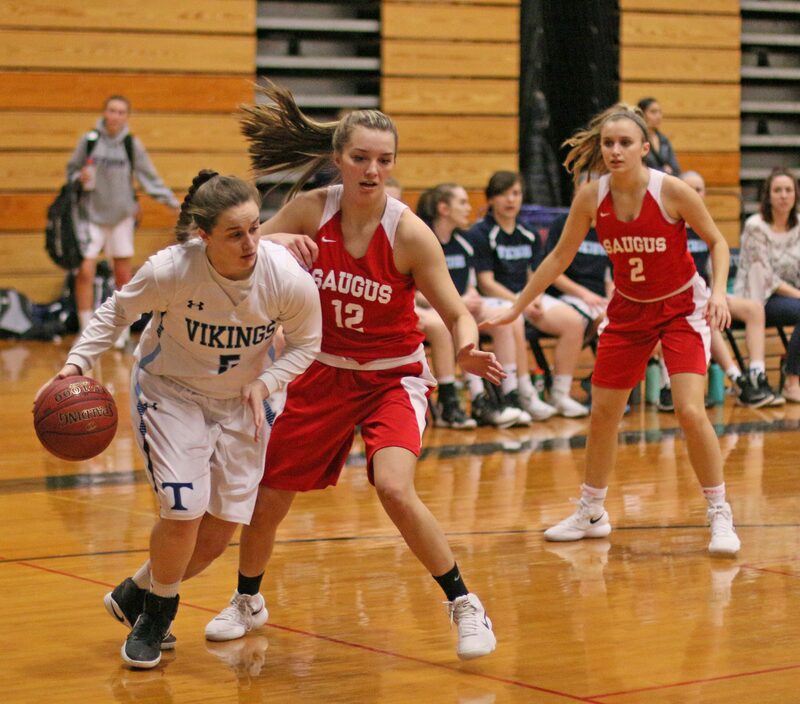 “We have a lot to work on, but it feels great to get the win and make the tournament,” said Saugus coach Mark Schruender afterwards. 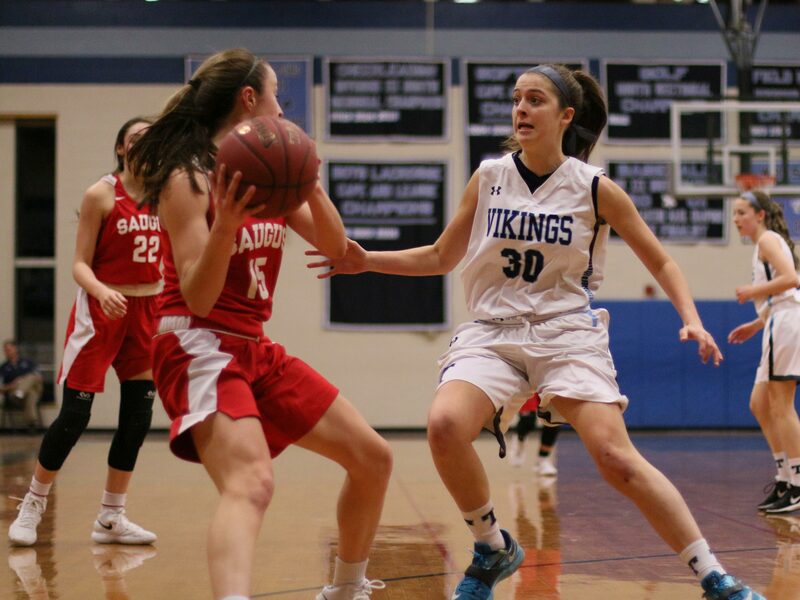 The Sachems (10-7) avenged an earlier non-league loss to the Vikings by capturing the Monday night makeup game. 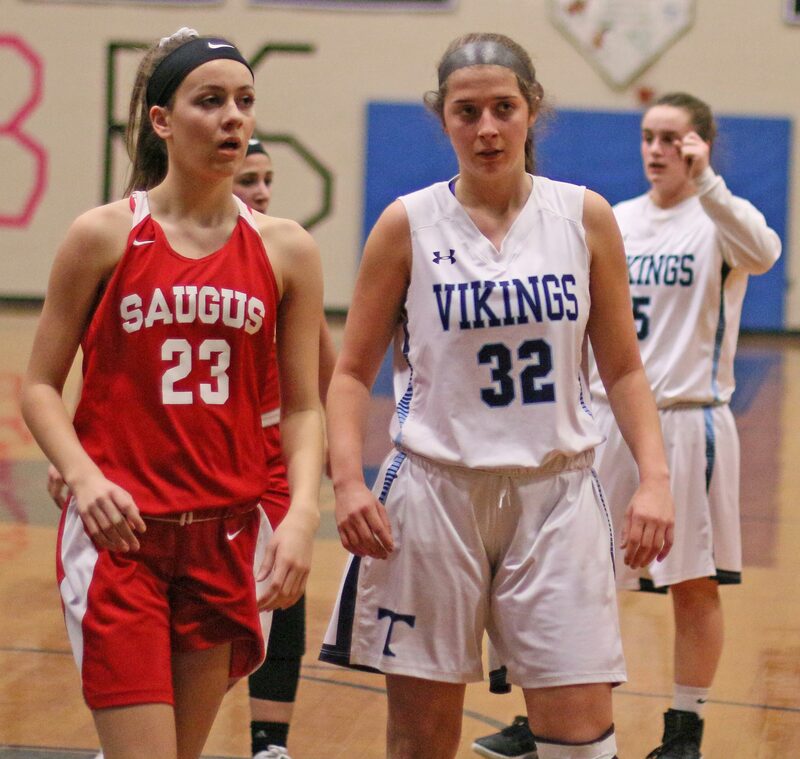 Both coaches agreed that it was Saugus’ change to a 2-3 zone defense in the second half that was the difference maker. 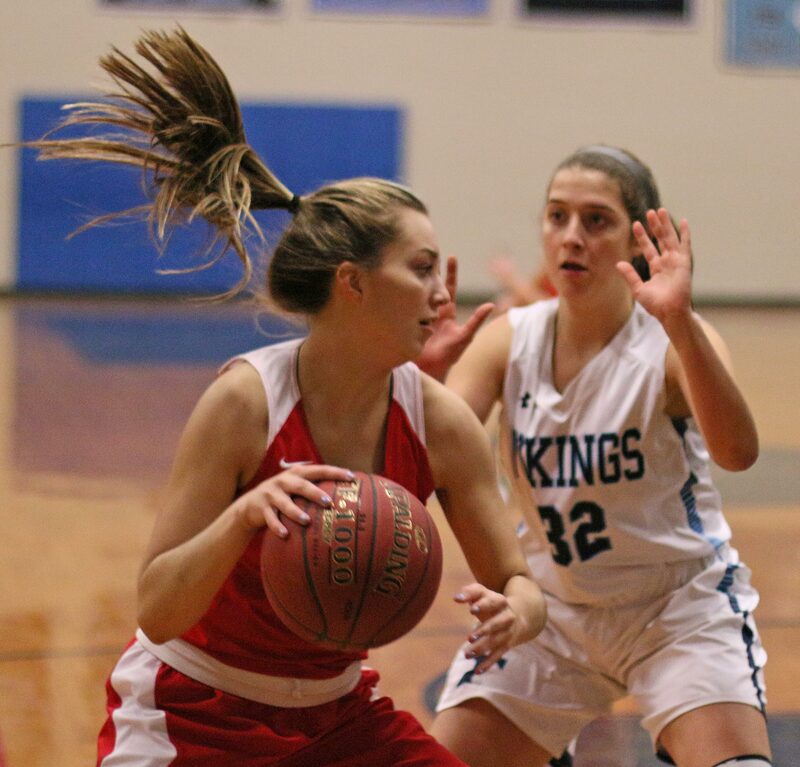 “We don’t usually use a zone defense, but Triton played so well against our pressure that we didn’t use it at all in the second half,” said Coach Schruender. 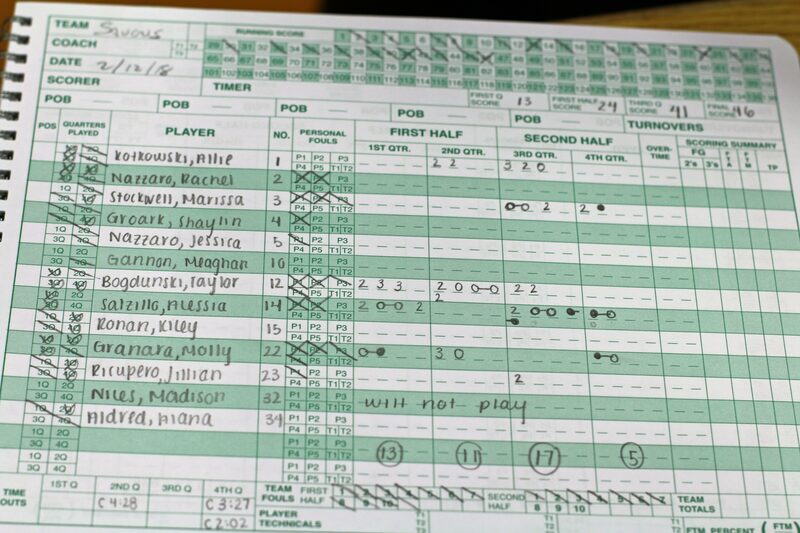 The full effects of the defensive switch kicked in with 5 ½ minutes left in the third quarter. 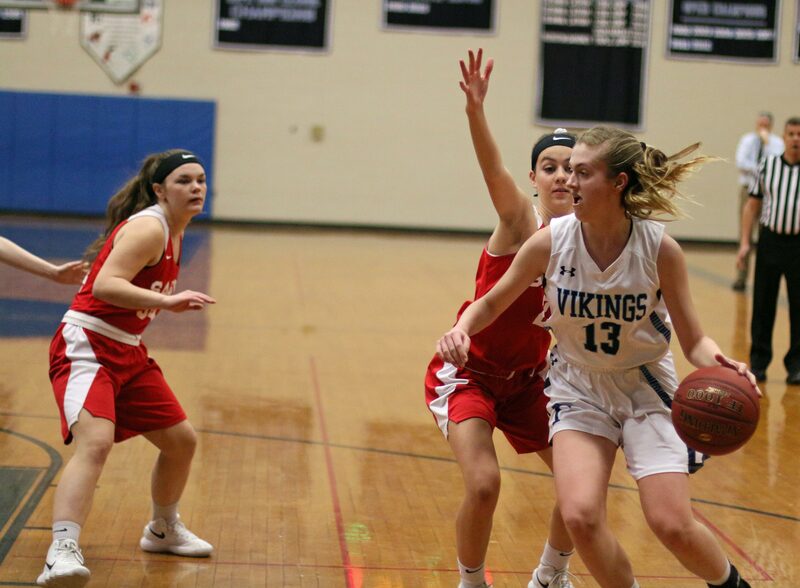 The Vikings (6-12) were one possession away (28-26) at the time after Izzy Cambece landed a three assisted by Bridget Sheehan. The rest of the third quarter? Totally, and I mean all, Saugus. 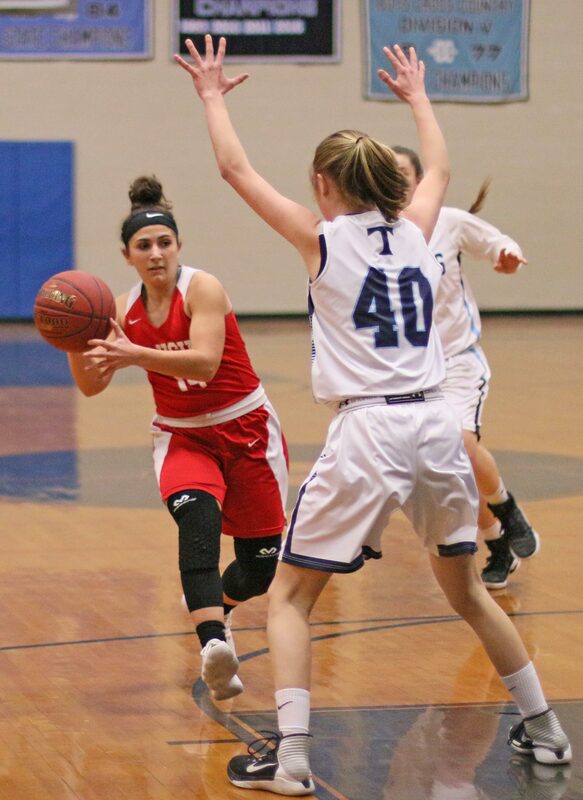 The team from the Northeastern Conference put a run of thirteen unanswered points together and left Triton with a 41-26 mountain to climb in the final quarter. Taylor Bogdanski, Allie Kotkowski, Jillian Ricupero, Marissa Stockwell, and Alessia Salzillo all contributed to the Saugus breakaway stretch. 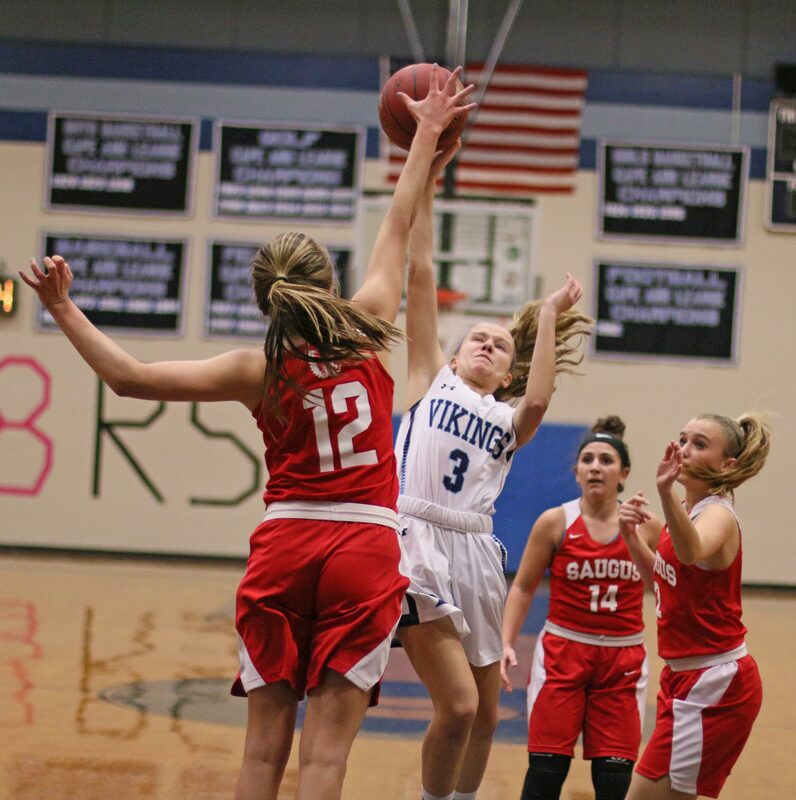 The Vikings’ shooting woes continued in the final quarter. 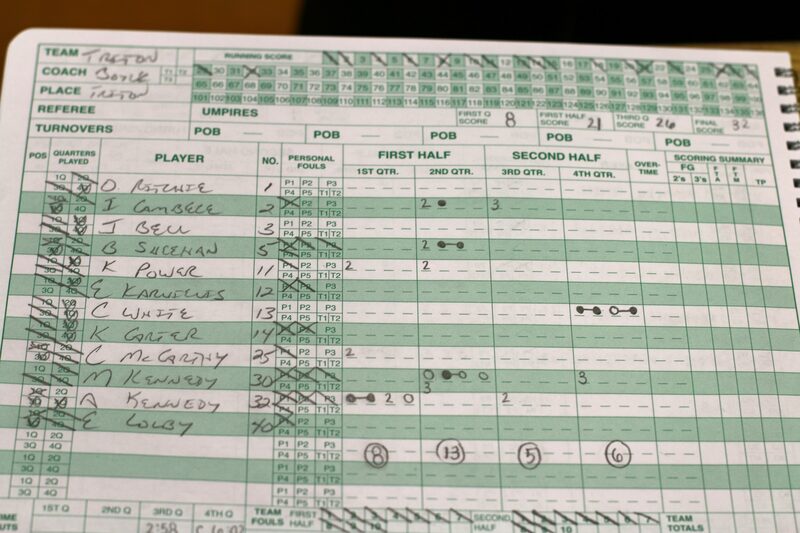 The Sachems weren’t a whole lot better in that frame, but they had the fifteen-point advantage and finished with a 46-32 win. 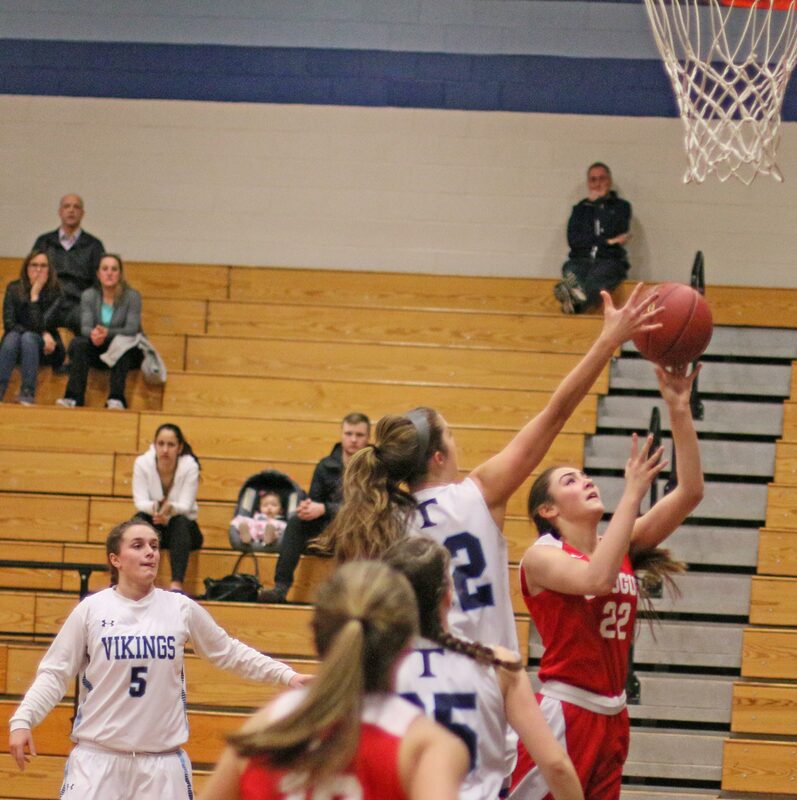 Sophomore Taylor Bogdanski led all scorers with sixteen points. Twelve of those points came in the first half and included two 3-pointers. 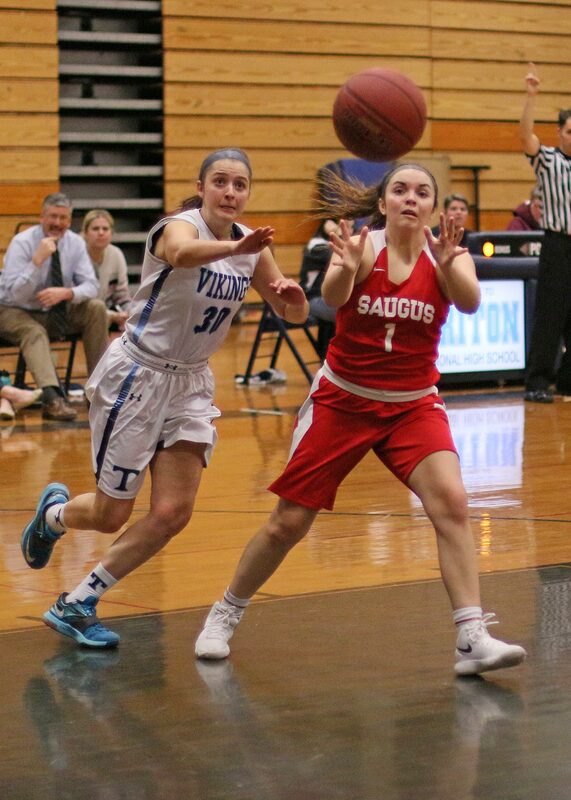 Taylor shot Saugus into a 12-4 lead in the first quarter. 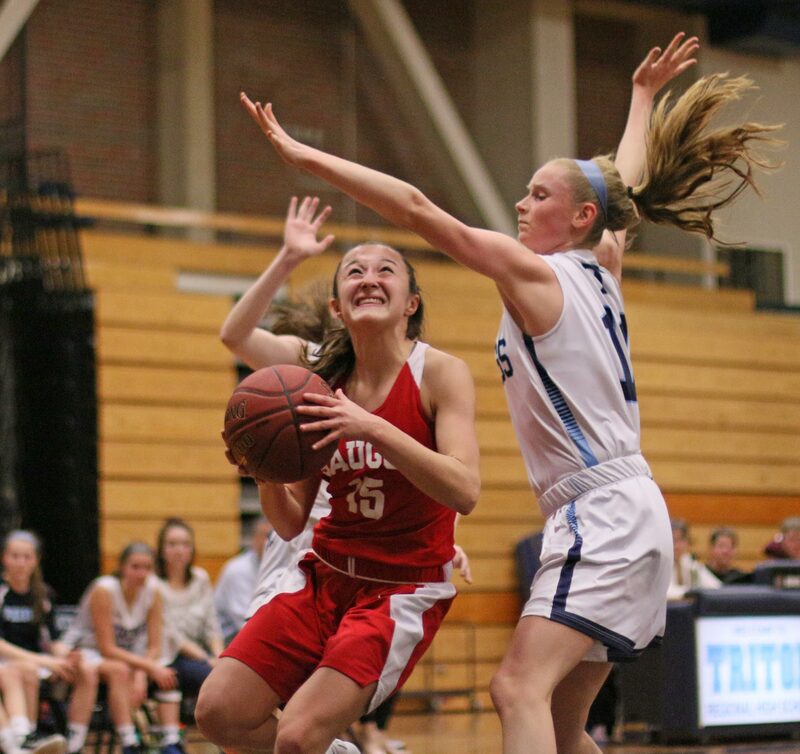 The home team came nearly all the way back in the second period as Bridget Sheehan and Alex Kennedy put eight points together to narrow things to 20-18 with two minutes left in that period. The Vikings would hang in there for the next 4+ minutes of playing time before the final 5 ½ minutes of the 3rd quarter did them in. 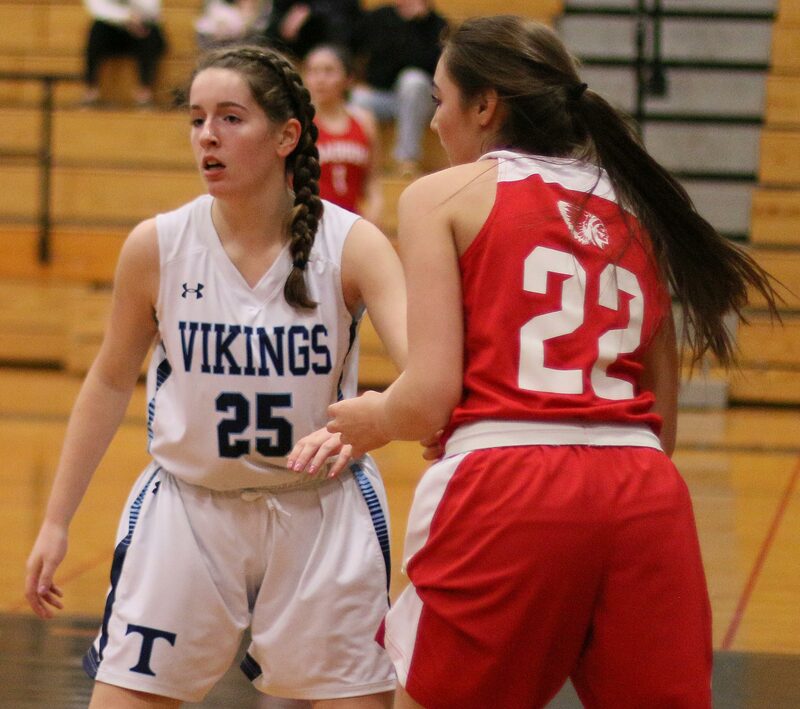 No question the Vikings missed graduated high scorer Tessa Lafrance. 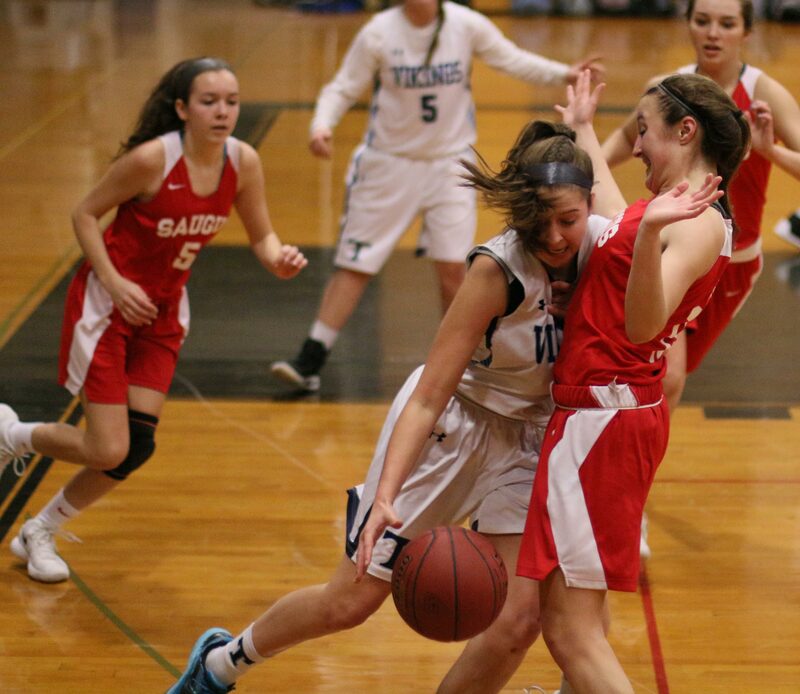 Tessa, now a freshman at Endicott, had over 1000 points at Triton. 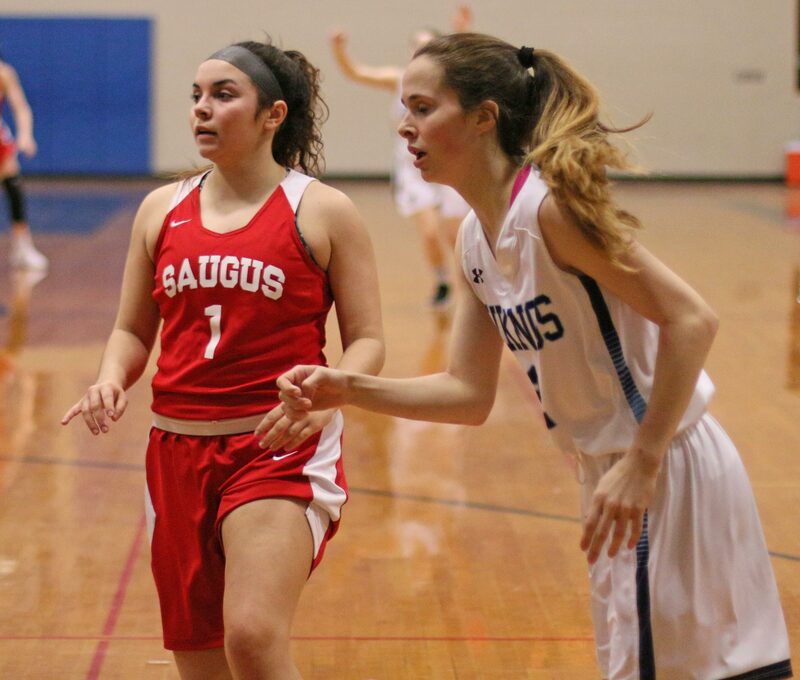 This is the 3rd straight year that Saugus has made the tournament. They were 16-7 last season.